While the neighbouring county of Essex adds a rich layer to the history of British baseball, the sport has burgeoned in Hertfordshire only in recent years. This article by Joe Gray, Herts Baseball Club’s newly appointed historian, chronicles adult baseball in the land of the pasqueflower. The most remarkable feature of baseball’s history in Hertfordshire up until the last quarter of a century is the dearth of teams that have formed and the transiency of those that did. The records and documents available at the time of writing reveal the existence, before 1987, of just a pair of teams from Hertfordshire that have competed in the British baseball leagues. Both appeared to have played for a solitary season. The first of these teams was the De Havilland Comets. In 1954, after having played friendlies the previous year, the De Havilland Comets put together a 2–6 record to finish fourth out of five teams in the South Eastern Baseball League’s second tier. They did, however, claim some silverware, for they beat the Aveley Cubs—sufferers of a winless season in the top tier—by a score of 14–13 in the final of the league’s Invitation Tournament. The Comets played their home games in 1954 in Leavesden—an urban continuation of Watford’s northern suburbs, today famous for its film studios—which was the home of the De Havilland aircraft manufacturer’s engine-building offshoot. During the years immediately preceding World War II, the aircraft manufacturer had sponsored the De Havilland Comets baseball team in the London County Baseball Association’s Senior Amateur League, but at time they played in Edgware, north-west London. By 1955 the Comets had folded once more. But at least the airline manufacturer had an enduring impact in the field of long-distance travel. Its plane the DH 106 Comet, which was developed and manufactured at the company’s Hatfield site, became the first commercial jet airliner when it made its maiden flight with fare-paying passengers in 1952. Whether the baseball team of the 1950s was named after this aircraft or followed the moniker of the pre-World War II outfit is not known. That team from the late 1930s was probably named after the DH.88 Comet, an early aviation record-setter. 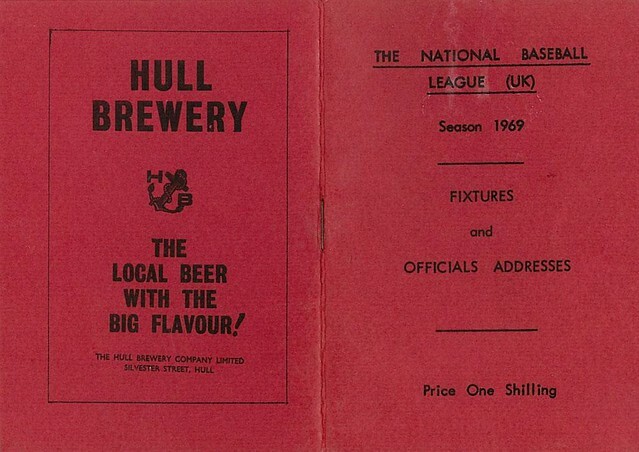 In 1961, it looked like league baseball might return to Hertfordshire. That season, a company named BSP Industries affiliated itself with the Southern Baseball Association as a non-competitive entrant. It secured the use of Borehamwood Football Club’s ground and announced that its team would be playing in a blue uniform with yellow trim. But the outfit never played league baseball and had folded before the 1962 season. Thus it is not until 1969 that league baseball seems to have re-emerged in the county. In what appears to have been their only season in British baseball, the Watford Sun-Rockets (combining the name of their affiliate firm Sun Printers with the “Rockets” on the jerseys donated to them by a US Air Force base at Ruislip) made their home at a playing field in Oxhey, south Watford, in the second-tier Southern Senior League. Famously, they beat the Liverpool Trojans in the final of a national knock-out competition that determined the British champions that year. The final was played at Harvey Haddon Stadium in Nottingham on Monday 1 September and was one of the all-time classics of British baseball. The game entered the top of the eighth with the Trojans holding a 6–3 lead. In that frame, Watford managed to load the bases with two outs, and Don Spencer, who had entered the game in the sixth, tripled to tie up the game. The Trojans stranded Spencer at third but could not retake the lead in the bottom half of the frame or, after having blanked the Sun-Rockets in the ninth, in the bottom of the final regulation inning either. In the 10th inning, Don Brock scored the go-ahead run for Watford on a sacrifice bunt, which was laid down by Don Cummings. This time Liverpool managed to respond, scoring a tying run to take the game into an 11th inning. Once more, though, Watford were able to score a run in the top half of the inning, with Lea being driven in by a hit off the bat of Brock. This time the Trojans could not keep the game alive, falling 8–7. For years after the Trojans maintained that Watford had illegally made use of US service personnel to bolster their squad. There is no record of league baseball in Watford, or anywhere else in Hertfordshire, between 1970 and 1986. Somewhat cryptically, the Sutton Braves’ 25th anniversary publication, from 1987, refers to a spectacular double play being turned at a game in Watford in the late 1970s or early 1980s, but league listings from those years do not reveal any Hertfordshire-based teams. More generally, the sparseness of Hertfordshire baseball, before the last quarter of a century, cannot simply be attributed to gaps in the annals. The record is sufficiently rich to reveal the booming baseball scenes of nearby counties, which included: Fred Lewis’s incredible programme around the Oxfordshire town of Chipping Norton in the first half of the 20th century; the colourful patchwork of metropolitan Essex baseball both before and after World War II; and even a six-team senior league centred on Buckinghamshire’s furniture-making hub of High Wycombe in the late 1930s. Similarly, heading only a few miles over the Hertfordshire border into north-west London, one encounters areas—around Barnet, Totteridge, and Mill Hill, for example—where baseball gained a real stronghold at points in the past. After the famine of many decades for Hertfordshire baseball, the latter half of the 1980s saw the emergence of a relative glut. On 3 May 1987, the Hemel Rebels lost 29–16 to the Waltham Forest Roadrunners. The game was played at Jarman Fields (near where the indoor ski slope is situated today) and was possibly the first competitive baseball game ever played in Hemel Hempstead. This was opening day for the northern bracket of division III (run by the British Baseball Federation South [BBFS]). Over in Enfield, in the same pool, the Hemel Red Sox—another Jarman Fields-based team—bested the City Slick Sidewinders 24–9. The results started a pattern that carried through the season: the Red Sox won the pool with a 12–0 showing, while the Rebels finished bottom with the reverse record. The Red Sox’ unbeaten record looked under threat in the final game as they trailed the Basildon Mariners 10–8 after seven innings, but they flipped the 2-run deficit into an eventual 2-run winning margin. The Red Sox claimed more silverware by also winning the BBFS division III knock-out shield, toppling Burgess Hill 23–8 in the final, which was played at Rosehill Park on 4 October. To get to the final the Red Sox had overwhelmed the Ashford Condors 45–2, beaten Croydon Bluejays II 16–5, and pipped the Reading Royals 8–7. The double-trophy success continued this run of Hertfordshire teams starting with a bang. Following their promotion, the Red Sox stormed BBFS division II too in 1988, compiling a 22–2 record to claim a second consecutive divisional title. The Rebels fared slightly better than they had done in their first season, winning three times in their 20-game schedule in the division III central bracket. A third Jarman Fields-based team competed as well that season, in the shape of Red Sox II. They finished with a 6–13 record in the same pool as the Rebels. In division III north, the Hoddesdon Sharks, who made their home at Wormley playing fields, had a 1–21 debut season as a fourth Hertfordshire team. Following their second straight promotion the Hemel Red Sox found themselves in the top tier in 1989. They finished bottom of the southern pool, but with a respectable 7–17 debut effort. Red Sox II had a 5–13 campaign in the division III central pool, finishing ahead of only the 1–17 Hoddesdon Sharks. Red Sox II folded before the 1990 season began and Hoddesdon had met the same fate within the next couple of years. After one season in the top tier, the Red Sox competed in the lower divisions until 1995, when—following a division I title the previous year—they returned for another brief stint in the southern top-tier bracket. They finished with a 5–19 record in 1995 and a 3–18 tally in 1996 (a year in which Hertford University announced it was starting a baseball programme). Those were the club’s last seasons in any level of the league. Thanks to the Red Sox’ star slugger, Sean Ozolins, they ensured that they left an indelible mark on the British baseball record books. On 9 April 1995 he had a two-homer game against the Crawley Comets. On 9 June 1996 he hit for the cycle against the Essex Arrows. And on 18 August 1996 he clattered a grand slam, against the Arrows again. Stevenage also had a baseball team in the 1990s. The Stevenage Knights won the Anglia area championship in 1992 and then continued in the lower divisions of southern baseball. But they folded after the end of the 1997 season. It was thus south Watford, or Bushey to be specific, that picked up the Hertfordshire baseball torch once more. 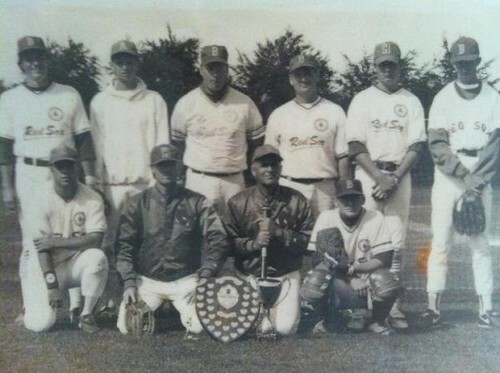 In 1996, the Bushey Falcons were formed and today that outfit, now based in Hemel Hempstead, has flourished into the five-team Herts Baseball Club. The history from 1996 to the present day can be browsed here. The catchment area for today’s Herts Baseball Club extends beyond the county boundary, most significantly into north-west London. There the game has a tremendously rich history, and this is a potential subject for a future article.